In Vancouver – a Canadian coastal city blessed with abundant natural resources and an eco-conscious demographic that wants to keep it that way – sustainable seafood reigns supreme. WHEN IT COMES TO EATING sustainable seafood at Vancouver’s plethora of great restaurants, Ocean Wise makes it easy with its straightforward classification system – and it doesn’t have to be a sacrifice either. 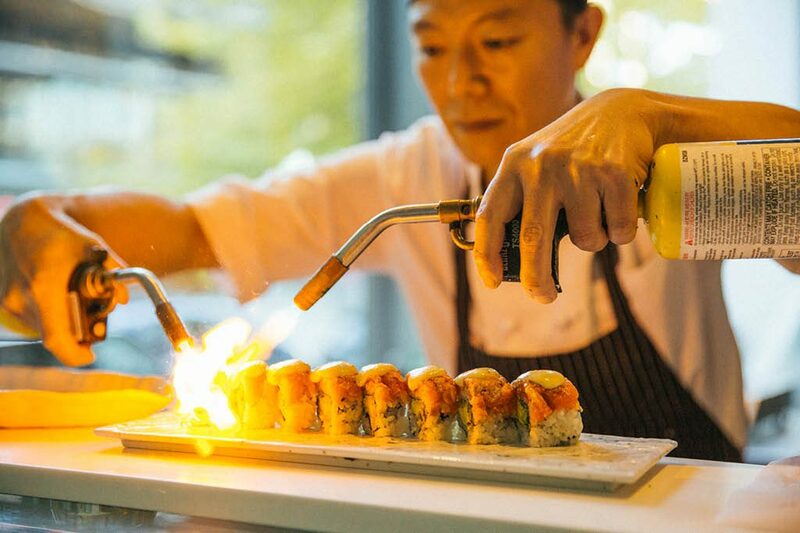 At Fairmont Pacific Rim’s Lobby Lounge, sushi chef Takayuki Omi offers more than 20 different kinds of fish on a 100% Ocean Wise sushi menu. While this means that you won’t find bluefin tuna or unagi on the menu – since there are no Ocean Wise options for either species – his black garlic kabayaki sablefish is a great substitute for unagi fans with its high fat content and rich taste.